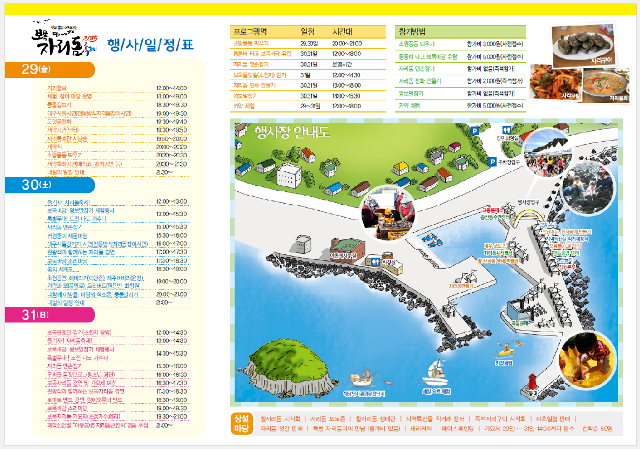 Seogwipo Bomok Jaridom FestivalThe packed three-day program has flavors and excitement for kids, families, couples and holidaymakers. The packed three-day program has flavors and excitement for kids, families, couples and tourists. Friday, May 29: Opening ceremony, fire-lighting, wishes, etc.